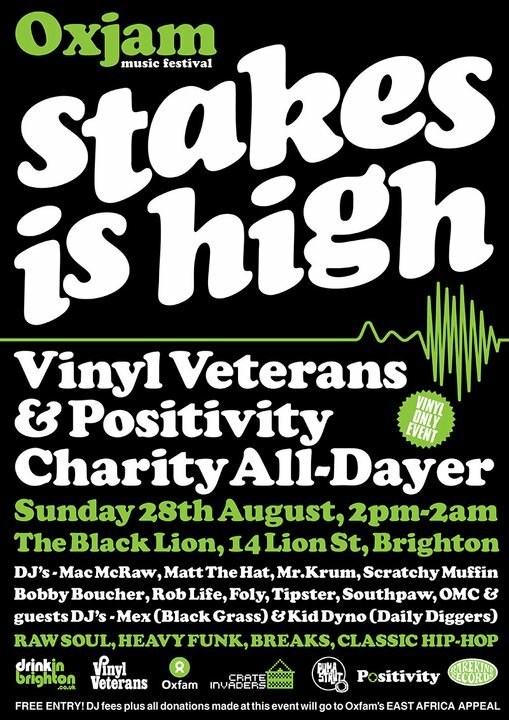 If you get yourself down to BRIGHTON over the last bank holiday in AUGUST you are in for a real vinyl treat in the form of the VINYL VETERANS charity alldayer to be held on Sunday 28th. Where else can you experience a marathon 12 hour session of funk, soul, breaks and classic hip hop (vinyl only) and not pay a penny on the door? Nowhere is the answer. 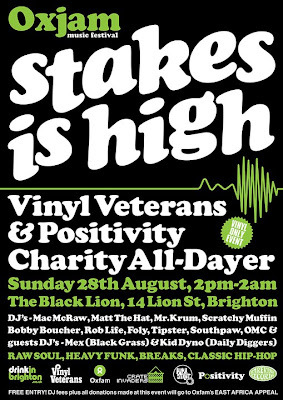 It all kicks off at 2pm and carries on til the break of dawn, so put some pep in your step and get down to Brighton on the 28th. DJs on the day will be MAC McRAW, MATT the HAT, MR KRUM, BOBBY BOUCHER, DJ FOLY, OMC, TIPSTER, SCRATCHY MUFFIN, ROB LIFE, SOUTHPAW and guest deck technicians DJ MEX and yours truly KID DYNO. I hope to see ya there - tell ya boys to bring tha noise! Yes, yes ...lookin forward to rockin with you KD ...gonna be a super fresh day for sure ...& don't forget it's all for charity mate ...not half!